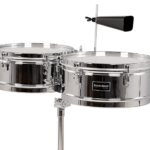 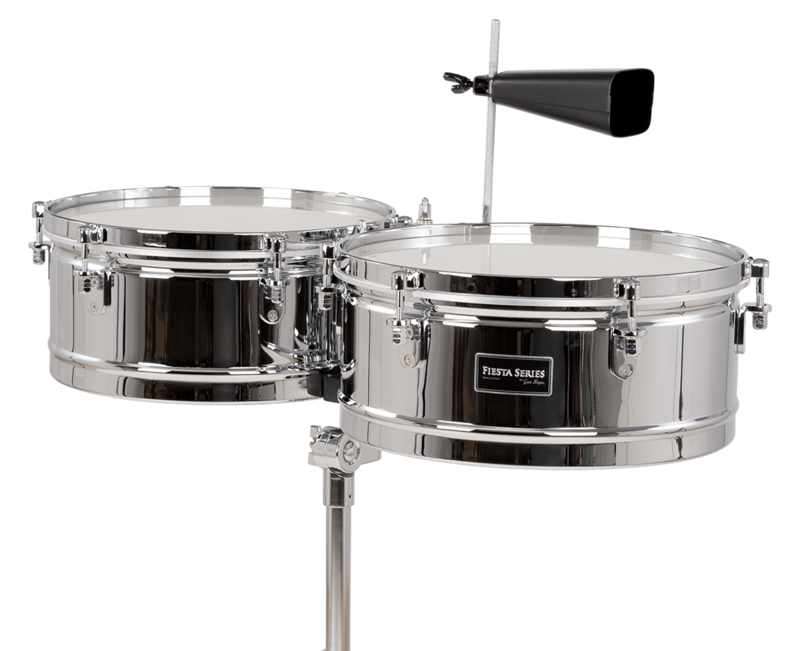 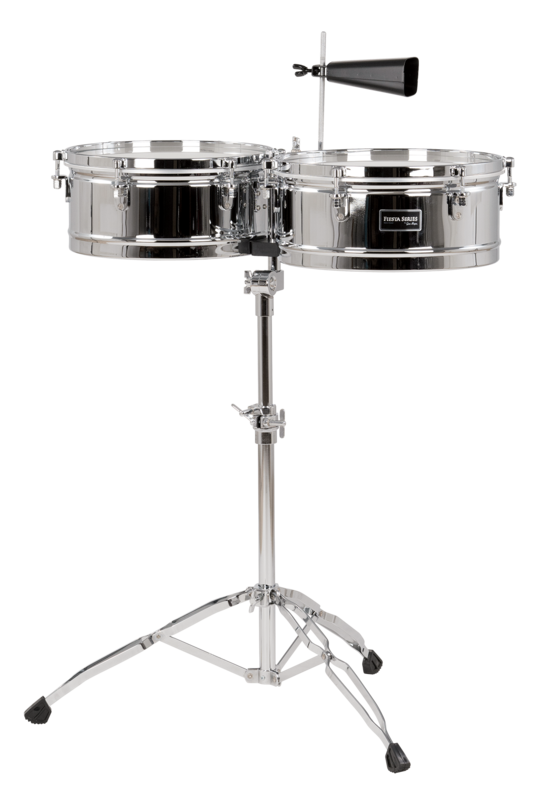 Available in 13"/14" and 14”/15” sets, Fiesta Timbales are chrome, top-tuning models with heavy-duty, tilting chrome stand. 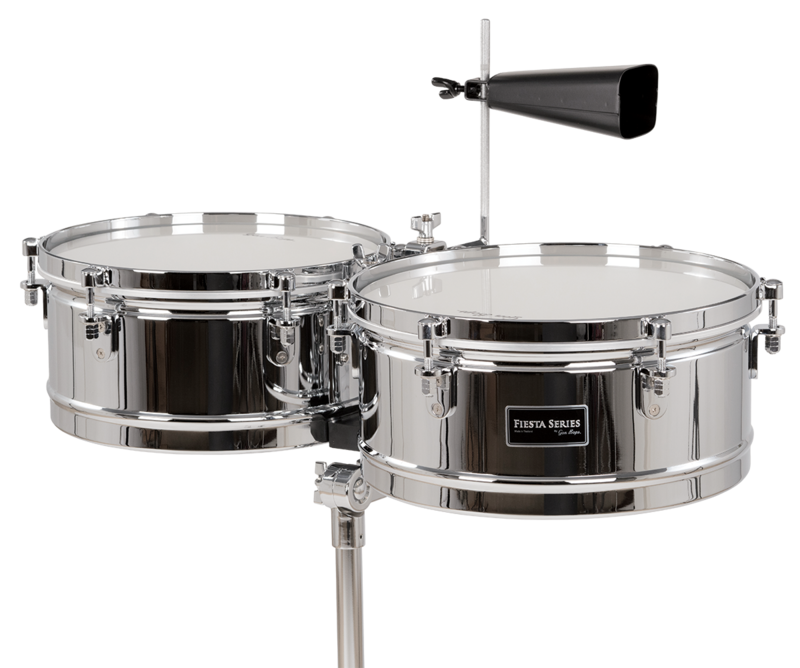 Smartly priced with the average percussionist’s budget in mind, they also include a bracket, cowbell and tuning wrench. 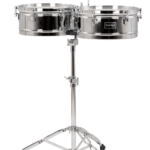 A wide lug placement makes for easy cascara. 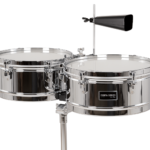 This is a serious set of Timbales you can play confidently on-stage -- ideal for students, serious beginners, or road warriors on a budget.